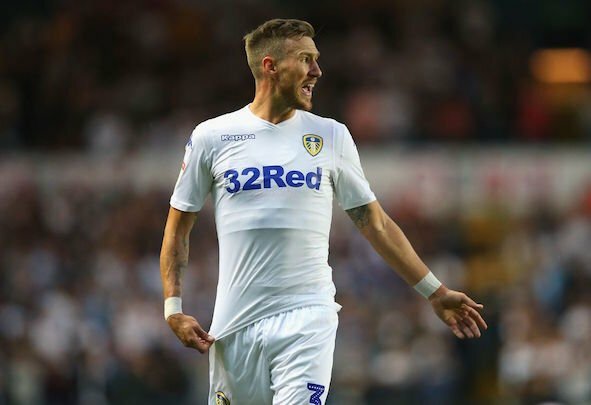 Marcelo Bielsa has confirmed that left-back Barry Douglas is a major doubt for Leeds United’s clash against Swansea City at Elland Road on Wednesday night. Douglas, 29, missed the 1-1 draw at Middlesbrough on Saturday after a muscle problem that he picked up in January flared up again, according to the Yorkshire Evening Post. The former Wolves defender looks extremely unlikely to play against the Swans this week, but Bielsa seems hopeful that the Scot can return to action when Leeds play Bolton at the weekend. “We’ll see if Adam Forshaw can play against Swansea. With Douglas, I think it will be difficult for him to make it for Swansea but he should be available after that game,” said Bielsa, as quoted by the Yorkshire Evening Post. Leeds should be fine without Douglas. Ezgjan Alioski has done a good job of filling in at left-back and the Whites can definitely get by for one more games without the left-back. Douglas has missed a lot of games lately due to this muscle injury and recurrence of it just goes to show that Bielsa is pushing his players hard, and perhaps calling them back from injury too soon. Patrick Bamford, Gaetano Berardi and Izzy Brown have all been injured this term, returned to action and then suffered a setback almost instantly. Luke Ayling’s form has been poor since he returned from injury and now Douglas is struggling to get himself back up to full speed. It would definitely pay for Bielsa to just wait one more game, or one more week, before recalling his injured players because he is thinning out his own squad for him. Douglas can be a key player in the club’s bid for promotion, but it is better for him to miss one more game against a team like Bolton than miss clashes against the likes of West Brom or Bristol City, who the Whites play next month.